Dmitry Zakharchenko at the Moscow Presnenksky Court. Russia’s Investigative Committee spokesman Vladimir Markin said on Sept. 14 that only 8.5 billion rubles ($131 million) had been confiscated in the case against senior Russian anticorruption agency’s official, Dmitry Zakharchenko. An investigation into how the funds had been obtained is ongoing. "No other funds are mentioned in the materials of the investigation now," Markin told TASS commenting on mass media reports that the Zakharchenko family had allegedly placed some 300 million euros in Swiss banks. 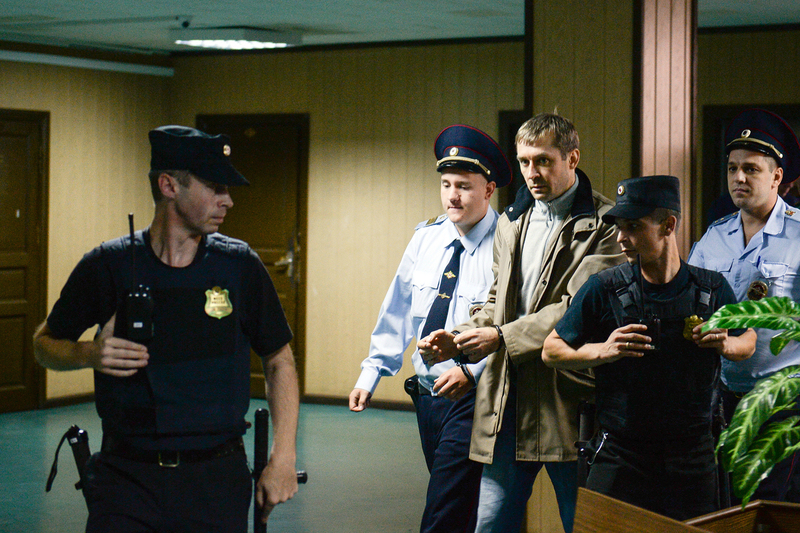 "The seized money was recognized as hard evidence for building a bribe-taking case against Zakharchenko," Markin said, adding that the funds have been taken to the Central Bank’s storage facility. "The public will be informed in due order after the investigation is completed," he stressed. Zakharchenko, 38, the Deputy Head of the Interior Ministry's Committee for Economic Security and Combating Corruption, is charged with official misconduct, obstructing justice and large-scale bribery. Moscow’s Presnensky District Court ruled that Zakharchenko, who was detained on Sept. 9, should remain in custody until Nov. 8.